I’m really late with my card for Mojo Monday this week – but better late than never. I’m not sure how this has happened but I am making less cards on holidays than what I make when I work full time. I can’t even tell you what I’ve been up to – I’m simply enjoying doing bugger all! I definitely could live this life. You’re probably going to look at this card and say exactly what I did – a fern frond doesn’t go with rolled roses, but hopefully the recipient of this card won’t know the difference. The Stampin’ Up! 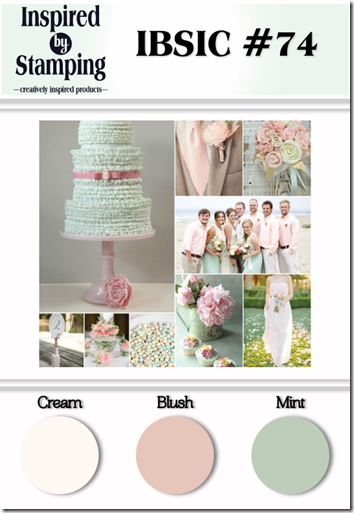 colours I’ve used are Very Vanilla, Blushing Bride and Coastal Cabana. 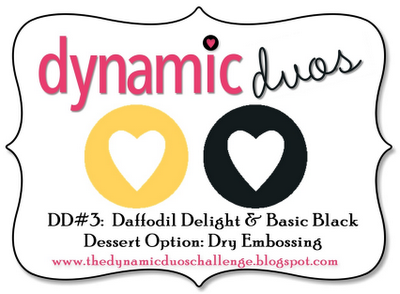 The designer series paper come from a Stampin’ Up! pack called Afternoon Picnic. 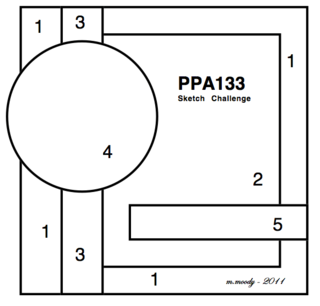 This challenge is to inspire you to create a project using mostly Green. 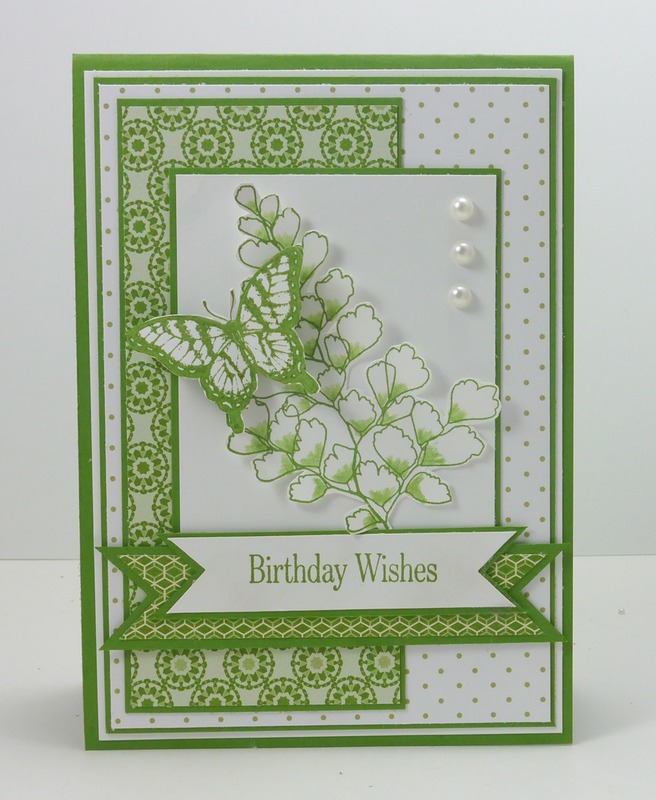 You can either make a card for St Patrick’s Day, or as some of the Design Team have created, a card featuring Green. I haven’t made a St Patrick’s Day card as I really don’t have anyone to give it to, so I’ve gone for a card that used a retired Stampin’ Up! stamp set called Growing “Green”. I thought it was perfect for a “Green” challenge. 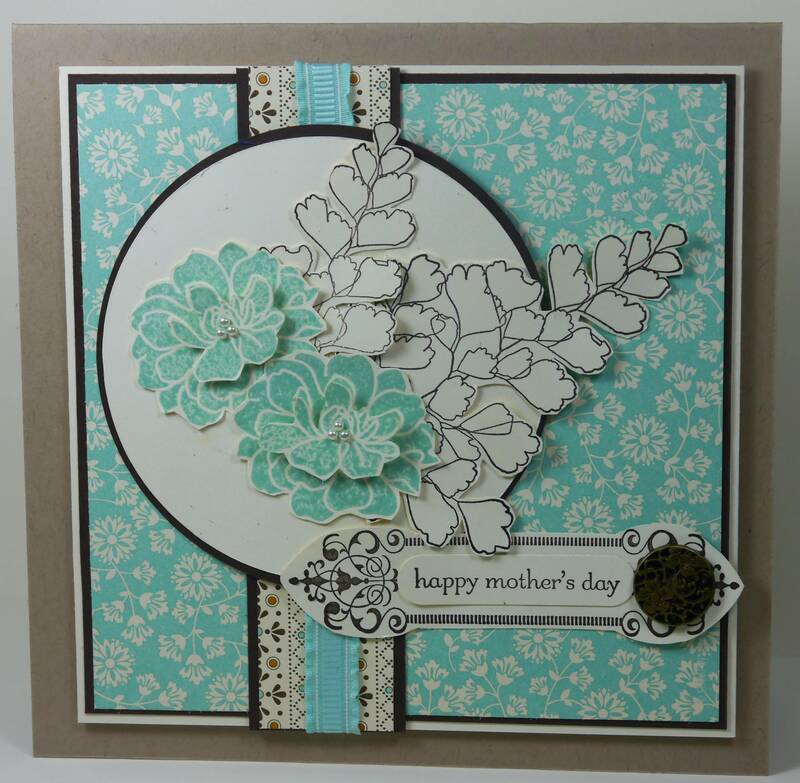 I stamped the fern fronds in Gumball Green and used my blender pen to add a bit of shading to the leaves. 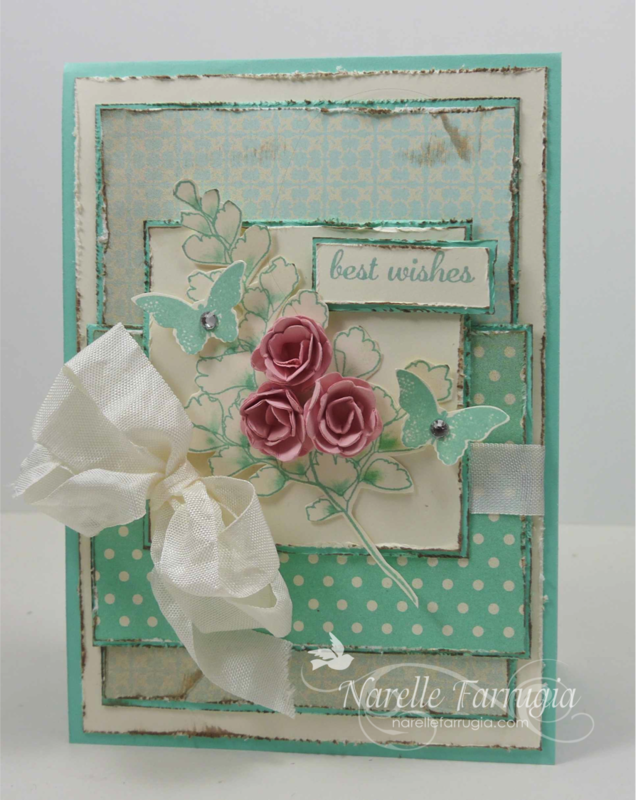 I then stamped the butterfly from Papillion Potpourri in Gumball Green. 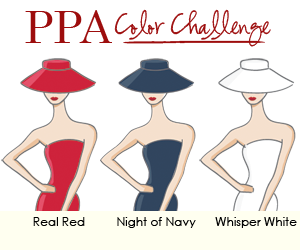 This challenge has given me the chance to show of some of the pretty DSPs from Print Poetry DSP Stack. The DSP I used in the background was a piece that I had sitting on my desk from another project. 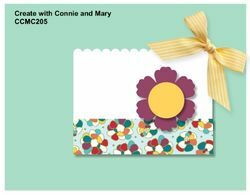 It’s from a retired Stampin’ Up! pack called Cottage Wall DSP. We’d love for you to join us this week with your Green project – head over to Just Add Ink and take a look at the gorgeous inspiration the Design Team have created. I am sooooo loving being on holidays – I’ve been creating daily and most importantly cleaning up my craft room. I can move again in there now! 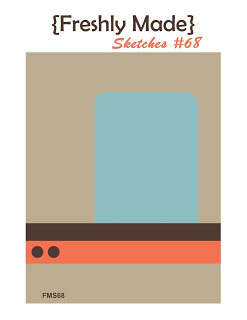 My starting point for my cards for a while now has been designer series paper. 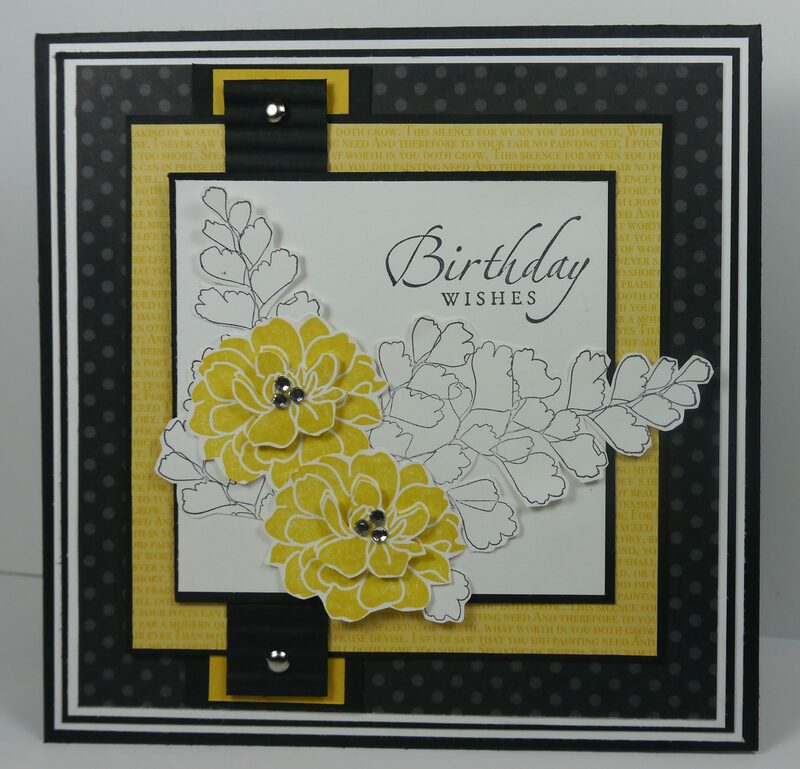 This time I’ve used some Stampin’ Up! paper called Fan Fair DSP. I’ve teamed this Riding Hood Red coloured DSP with Crumb Cake and Whisper White – I really love this crisp colour combination together. I’ve also dragged out a retired stamp set called Growing Green and coloured in the fern fronds slightly in Crumb Cake ink with my blender pen. 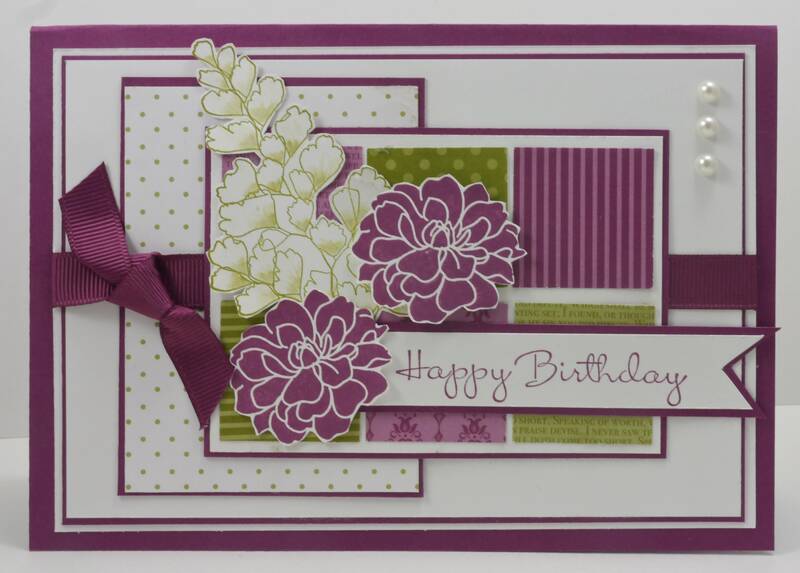 The flower I’ve used is from Everything Eleanor – can you tell I love making cards with flowers on them??? 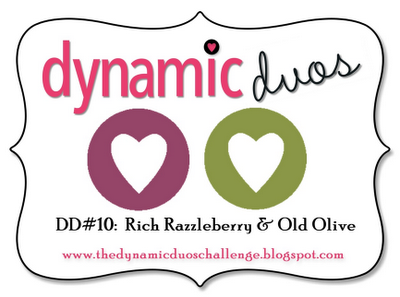 What a great colour combination they’ve got for this weeks Bold & Sassy Challenge at Dynamic Duos! I was initially thinking I’d go with a Christmas Card, but I changed my mind and went with a feminine card instead. 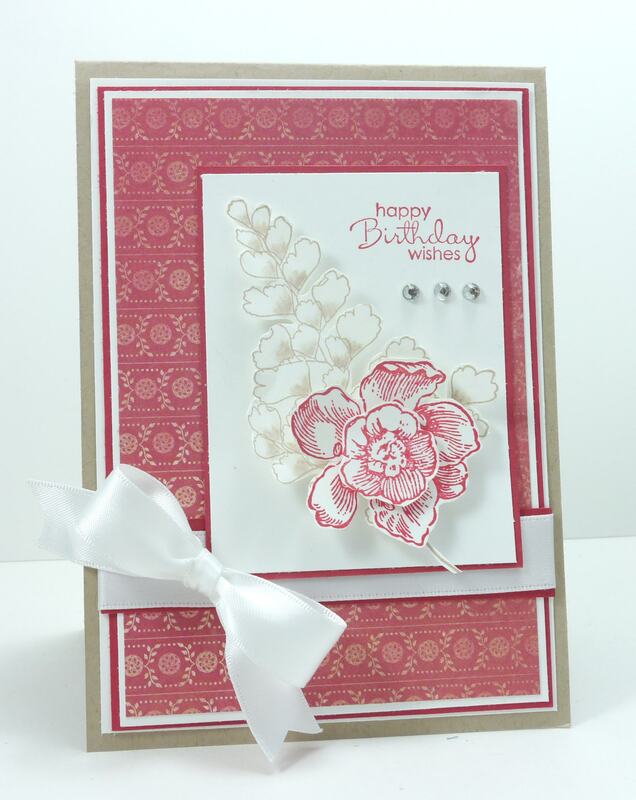 And the final challenge I’m entering this card into is this weeks Just Add Ink challenge – Just Add…. Pearls. 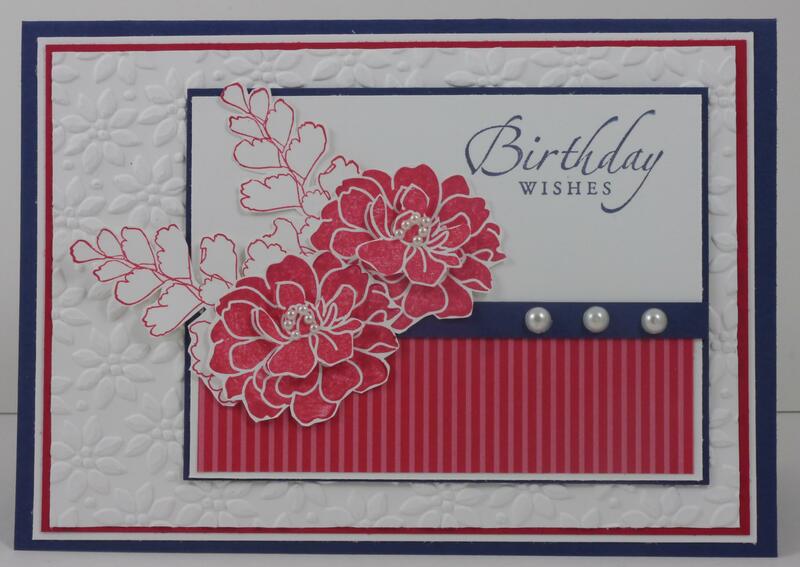 It’s my week off my designing this week, but I thought I would enter just for fun as my card has quite a few pearls on it.